Whether it’s a matter of boredom or feeling stuck in a dead-end role, there comes a point for most people when it’s time to move from one job to another. Of course, looking for a job can often be a full-time endeavor itself, and juggling a job search while working can be unquestionably stressful. You, therefore, might be tempted to up and leave your current company, even without another position lined up. It’s a risk that can pay off in some cases. If you leave a job without another offer, you can really focus your efforts on finding the right role without the lies and awkwardness of having to mislead your boss and coworkers. On the other hand, quitting before you have a replacement job is a move that can backfire as well. Here are just a few reasons why. Even if you’re willing to give your job search your all, if you leave your company without an offer lined up, there’s a good chance you’ll spend a good amount of time unemployed. The average U.S. company’s interview process alone takes 23.8 days, but you’ll need to account for time on the front end (applying) and on the back end (negotiating salary, getting paperwork in order) as well. In other words, you might thinkthat once you leave your job, you’ll have another one in no time, but it could be months before you’re gainfully employed elsewhere. We all know health insurance is expensive, but thankfully, many employers subsidize the cost of coverage for employees. And there lies the problem with leaving a job without having a new one lined up beforehand. If you don’t have a new health plan to jump on immediately, it’ll be on you to secure coverage for as long as you remain unemployed. This might mean buying a plan on the open market, or paying for COBRA until you’re once again eligible for an employer-subsidized plan. Both options can be quite expensive, which is why if you’re not married and don’t have the option to jump on your spouse’s health plan in the interim, you may want to avoid a gap in employment. It’s estimated that 39% of U.S. adults have absolutely no money in savings. If you’re one of them, then going too long without a job could easily land you in debt. That’s because without a safety net to fall back on, you’ll probably need to charge your living expenses until you’re once again collecting a paycheck. 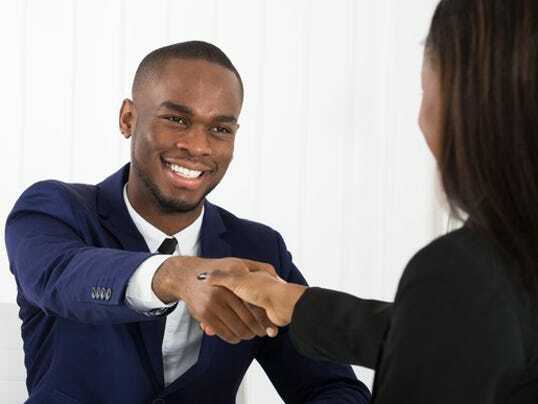 If your savings are lacking or nonexistent, it especially pays to line up a new job before handing in your resignation letter. Even if you have savings, you could end up depleting them if you go too long without working, so think about whether that risk is really worth it. Many people go into the job search process full of hope, only to get disillusioned rather quickly when things don’t go smoothly. If you embark on your job hunt after already having left your former position, you might wind up in a situation where you start to get anxious about the amount of time it’s taking, and therefore agree to a role you don’t really want. And that’ll only end up setting back your career instead of helping it. Imagine you have a steady job and decide to start interviewing. A prospective employer offers you a role that sounds great, but the salary isn’t what you want. At that point, you’re in a win-win situation: You can ask for the figure that works for you, and if that new company doesn’t agree to it, you can always stay put and keep looking. But if you’re negotiating salary with a potential employer and you aren’t still employed, you’ll have less control over the situation. Namely, your new company will know you’re unemployed, and may not hesitate to take advantage of that fact — which means you could come away with less money out of the deal. Eager as you might be to leave your current job and focus on finding a better one, quitting before lining up a new role is a move that can end up hurting you. If you aregoing to go that route, be sure to at least have some viable leads before giving notice. This way, you’ll mitigate some of the risks of going into a job search blindly and hoping for the best. How Soon Can You Ask for a Raise at Work?